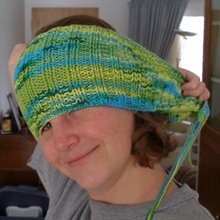 TasteSpotting- I just found this site and it's fantastic. Basically they're a collection of gorgeous food pics with links to the blogs that posted them. This is a bad site to scroll through if you're hungry. Trust me. Bread & Honey: A Food Blog- These ladies are fantastic. I originally found them via their post about cooking cake batter in oranges over the fire, which is frankly one of the most genius things I've ever seen. There is some really great stuff there. Angry Chicken's List of Kitchen Tools- A comprehensive list if you really wanna do some cooking. I don't own every single thing that Amy's listed, but I'd be willing to bet that our kitchens are fairly similar. Whisk: a food blog- When I found this one, I immediately added it to my reader. Everything she makes is just gorgeous. I'm thinking about making her Pumpkin Chai Tart this week because, wow, how could I not? She suggests cooking the tarts in the two piece mason jar lids, which I think is absolutely brilliant. I realize this list is a bit short. Where do you guys go for recipes and other cooking goodness? I am all about Smitten Kitchen. Beautiful photos, great food, and not a bad read. Thanks for listing me along with the others! I'm honored!! We're doing the feast again this year...we usually go with food network's Alton Brown (of Good Eats) for our turkey. 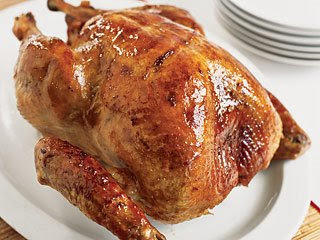 We brine our bird, although we do not follow his brine recipe to a T, and we do start the oven very hot and then cover the breast with foil and turn down the oven. I'm just not sure of what's for dessert. YIKES! I use Alton Brown's recipe for the Turkey too. For Thanksgiving I use hand me down recipes for most of the side dishes. If anyone is looking for a really yummy cranberry sauce, I posted it last night on my blog. Best ever, Pioneer Woman Cooks. She has all her recipes organized properly and a category for holidays>Thanksgiving. I'm making the Fresh Corn and Wild Rice and the Whiskey Glazed carrots to go with the rest of the usual T-giving fare. YUM. I can't wait to sit on my bum and enjoy.